At the start of 2014, we met with the learning and events team at Imperial War Museum North – they wanted to do something that would bring together content about the First World War from across the range of cultural and heritage organisations within the Greater Manchester Centenary Partnership. This is a network of over 20 organisations working collectively to commemorate the centenary of the First World War. There were a lot of stories to tell and connections to be made – but how would we do this? 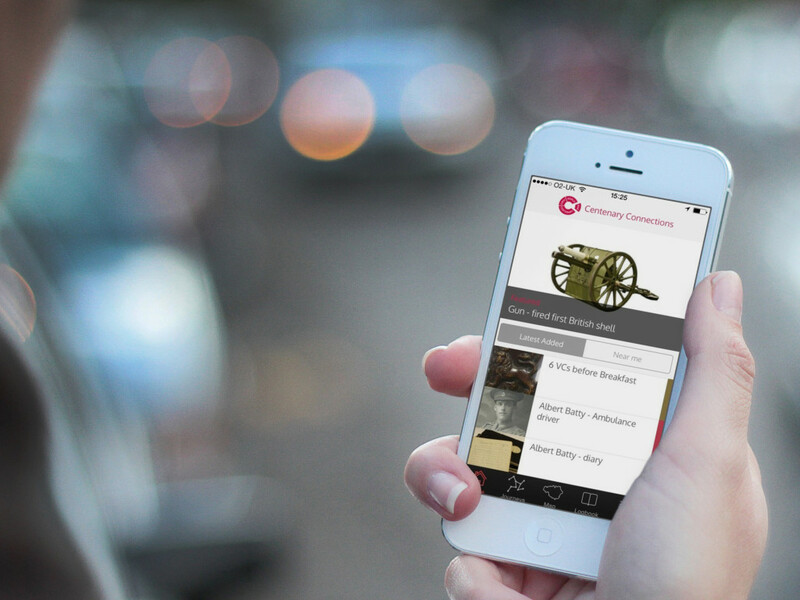 Following workshops with the curatorial, learning, marketing and digital teams we developed the concept of Centenary Connections – themed journeys within which can be found many archive assets kept in museums, archives, libraries and galleries as well as landmarks across Greater Manchester. 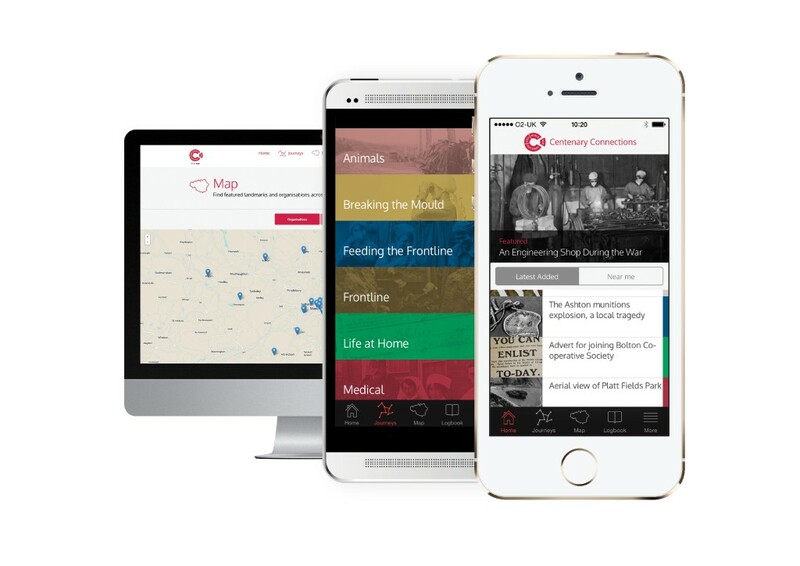 The app and website encourage users to take a physical journey across the area – following stories through the archive across the range of organisations and landmarks. It also provides a point of exploration for those just wanting to browse, and share across social media with friends. How was Centenary Connections received? Well it’s early days for us it launched in July 2014. Watch out for updates over the coming months.